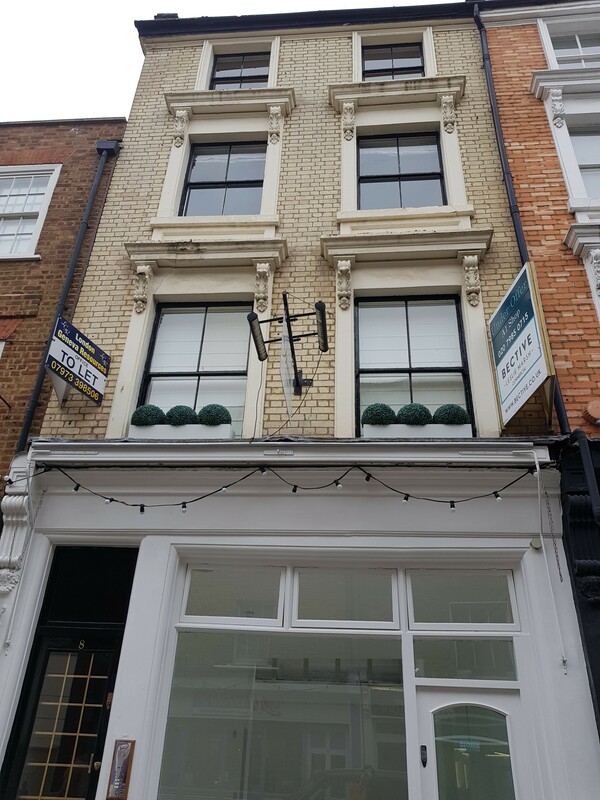 The office is on the second floor of a converted townhouse, just off Kensington Church Street and Kensington High Street, opposite an entrance to Hyde Park. The building is shared with a private skincare studio and the offices of a ballet school, so quiet and pleasant neighbours. 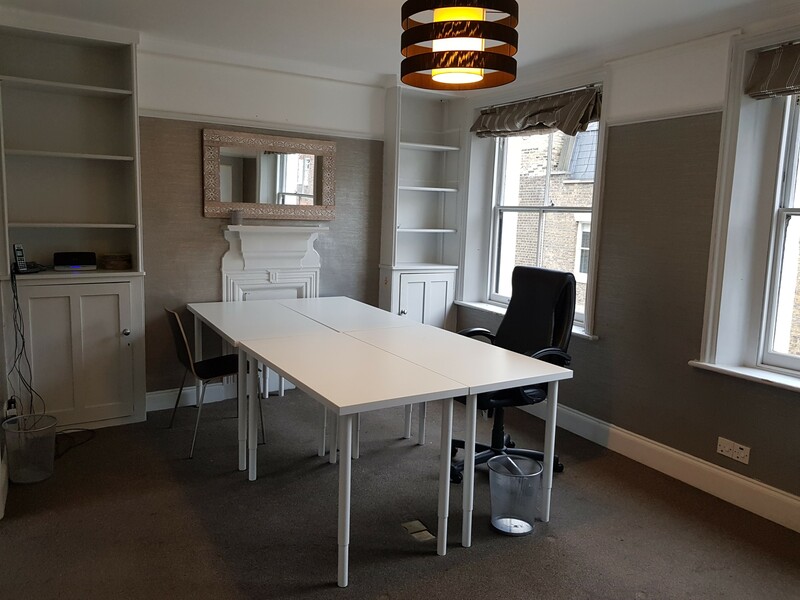 The office is private and has its own locked entrances and a separate telephone and internet connection from the other tenants. Cleaner included, easy rubbish & recycling disposal. Option to close off kitchenette/meeting room from main office or keep open plan. Minutes walk from the Kensington Palace, Hyde Park and Kensington High Street. Windows front and back which can opened to keep the office cool all summer. 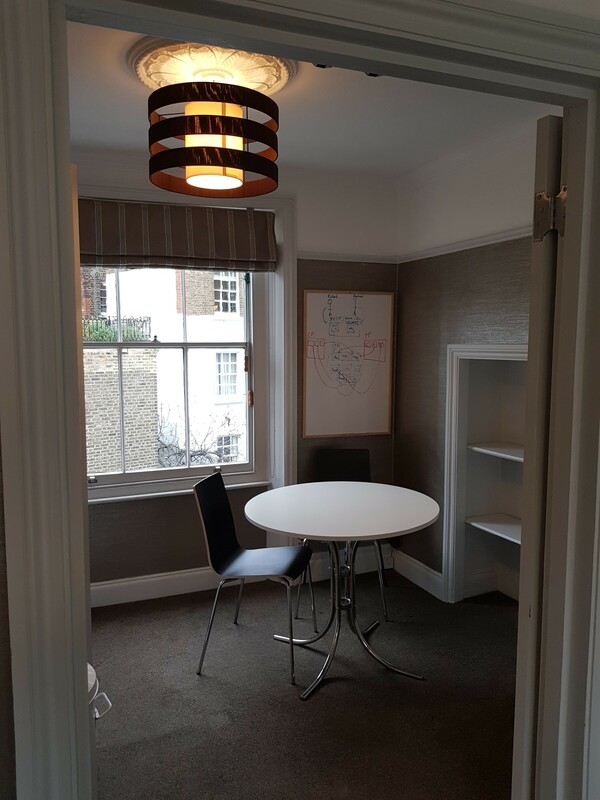 Quaint second floor office in a townhouse on a quiet street in Kensington.